How to Make a WordPress Website with WPEngine - Step by Step (Video)!  WPEngine are one of the oldest, biggest and best managed-WordPress hosting companies in the business. Put simply: if you’re about to set up a new WordPress-powered website and want to start with a really solid hosting service (or you’re tired of cheap, poor-performing, bog-standard shared hosting), you’ll do well to consider their services. In fact, for many, once you’ve taken into account the potential business gains in terms of improved site speed, up time, security and general site management, starting out with a host like WPEngine is really a no-brainer! So what’s involved? How do you set up a website with WPEngine? Managed WordPress hosting is aimed at taking the hassle out of managing the technical details of your WordPress installation with features like automatic backups, enhanced security, automatic updates, daily monitoring, and free restoration should you ever be hacked. It also provides highly optimized server configurations, with features like built-in cache and the promise of infinite scalability at an added cost. 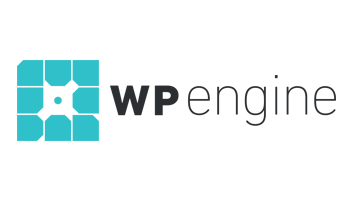 WP Engine is the oldest and one of the best in the business. They pride themselves on providing superfast servers, not only making users happier, but also improving your site’s SEO. They have excellent uptime and outstanding customer support. On top of that, they also offer a -day money back guarantee and claim to be the most secure WordPress hosting service available. In short, WP Engine is currently about the best in the WordPress hosting business. In this video, we’re going to look at how to set up a website on WP Engine with no steps skipped. Let’s get started. 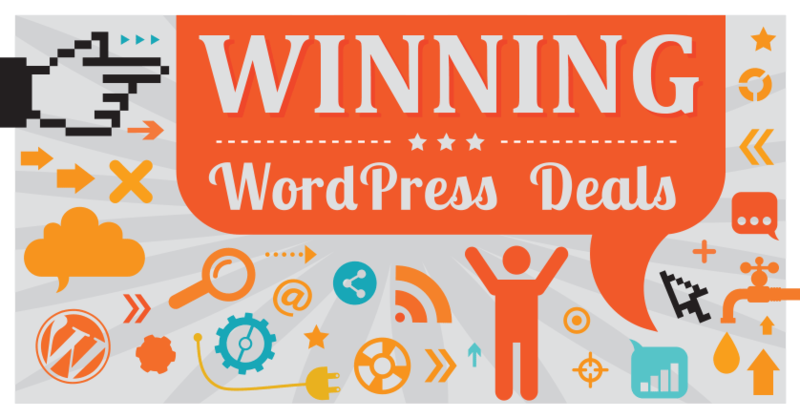 If you visit winningwp.com/best-wordpress-hosting you’ll be brought to the How to Choose the Best WordPress Hosting Guide, updated for this year. This guide is broken up into four sections for each type of hosting, including managed hosting. And if you click on the Recommended Managed WordPress Hosting Services, the first one you’ll see is WP Engine. You can then click on the Choose WP Engine button to be brought to their website. If you sign up for hosting through this link, WinningWP will get a small commission, but at no extra cost to you. These commissions help us create new content just like this. Once you’re brought to the WP Engine website, you’re presented with a few options, including a button to Get Started. If we click that, we’ll be able to Pick A Plan. WP Engine offers several different plans, including a completely custom one for large businesses and mission-critical sites. We’re going to be signing up for the Startup plan. This includes all the basics for starting a small website or blog. It gives you access to one website with three environments for that site, which means that you can create a staging server and a development server, all within that website. This makes it very easy to test new features without affecting your live site. You’re also given a CDN and free SSL, or a secure domain, to make your website even more secure for your users. These plans start at $ a month and, once again, you can sign up risk-free for days. When you click on Get Started, you’ll be brought to a form where you can sign up for your account. You can choose an Annual subscription of $, which gives you two months free. Or, you can choose the Monthly subscription and pay $ per month. You can also choose to add additional sites at $ per month. 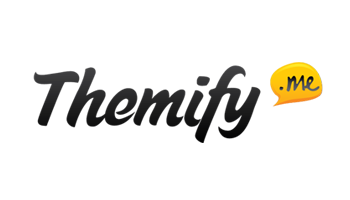 There are also a couple of upsells here, like gaining insight into content performance, geotargeting for location-based personalized content, and the ability to run WordPress multisites from a single install. If you don’t need any of that, you can skip right over it and fill out the information below. Once you fill out all the information and check off that you read and agreed to the terms and service, you can click Create My Site. Once your account is created, you’re given some information about the account, including the site URL and domain information, where you can log in, and more. You will also be emailed this information to be accessed once your site is built. One of the first things you’ll notice, is that you’re given two sets of login information. You’re given information for the WP Engine Portal, and for your WordPress site. In both instances, you’re provided the username, but you’ll need to reset the password. Let’s do that for our portal first. Go ahead and click on my.wpengine.com, and make note of the username, which is most likely the email address you used to sign up. When you’re brought to the login screen, click Password Help and then put in your email address. You’ll be emailed password reset instructions. In the email, you’ll be given a link that will allow you to reset your password. Make note of the requirements for your password on the right-hand side. Once you put in a password that meets the requirements, click Reset My Password. Now you’re ready to log in. You’ll notice a few useful things right on the home screen. You can explore the WP Engine Solutions Center, gain insight from their blog, and you’ll also see your plan usage, which documents bandwidth and storage that you’re using. If you click on Sites, you’ll be brought to the area that displays the websites that you have installed. 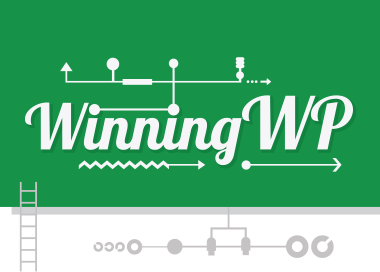 Since we’re on the Startup plan, we only have one site and that’s a production version of winningwpdemo. If we click on that, we’ll be brought to an area where we can manage our site. We’ll dismiss the Migrate Your Site to WP Engine and you can see that, again, we have some Environment stats here. One thing that you might notice is that the domain is not set. Instead, we have a test domain, which we can use to access our WordPress site. Unlike many other hosts, WP Engine doesn’t sell domain names directly, so you’re going to need to go to a domain registrar like namecheap.com, and buy the domain. Let’s do that now. In other videos, we document how to register a domain, as well as how to pick a good domain name. So, we’re not going to go through the full steps of that here, but we are going to search for and register a domain. We’re going to search for wpedemo.com to see if that domain is available. It looks like it’s not. And while Namecheap offers several different options for suggested domains, we’re going to try something different. It looks like wwpdemo.com is available, so that’s the one we’ll grab. We clicked on Add To Cart and then we can go to View Cart and now we’ll go through the purchase process. One note here is that Namecheap offers a one-year subscription to WhoisGuard for free, which means that your information will not be publicly made available once you purchase the domain. You can also look at the rest of the options, but you don’t need any of them to buy your domain. So, we’ll go ahead and click Confirm Order and then we’re brought to an area where we can Log In or Create An Account. You do need an account in order to purchase the domain. Once you’re logged in or an account is created, you can go ahead and put your payment information and purchase the domain. You can also choose to automatically renew the domain, if you want, which is strongly recommended so you don’t lose the domain after a year. Once your purchase is made, you can now manage your domain. Here is where we will point our domain to WP Engine. If we go back to our WP Engine account and click Enter Domain, we’ll be given instructions on how to point our domain to WP Engine. So, the first thing that we’ll do is click Add Domain, under Domains and Redirects, and we’ll put in the domain that we just registered. The domain has been added, so now it’s time to update our DNS, or Domain Name Servers, to point them to WP Engine. WP Engine recommends using the CNAME record whenever possible, just in case the A record, which is an IP address, changes. So, we’ll go ahead and copy the CNAME record and go back over to Namecheap and under the domain we just purchased, wwpdemo.com, we’ll click Manage and then we’ll go to Advanced DNS. You can see we already have a couple of entries in this table. So, what we’re going to do is click on the CNAME record that’s already there, change the host to the @ symbol (which means the top level domain or it’s just a wildcard for the domain we’ve registered) and then we’re going to change the value to the one provided to us by WP Engine. We’re also going to change the TTL, which means Time To Live, down to one minute. While not all servers respect this TTL, or Time To Live, having the lowest possible one ensures that our domain will propagate as fast as it can. We’ll click Save Changes and then we will delete the URL Redirect Record. There’s one more thing we need to do here and that’s add a record for the WWW. Right now, only the domain wwpdemo.com would work and www.wwpdemo.com would result in an error. So, we’re going to Add a New Record. It’s going to be a CNAME Record, the host is going WWW, and the value is going to be the same value that we have above. We’re then going to Save All Changes and now our DNS is properly updated. And with our DNS set, we’re going to click Schedule a Refresh when we hover over the question mark, so that we’re going to tell WP Engine to check the DNS status again. Once that fully propagates, we’ll be able to set the domain as Primary. We’re also going to add www.wwpdemo.com in WP Engine, so that our DNS and our WP Engine account are reflecting the same things. So, we’ll go ahead and click Add Domain and we’ll add the domain www.wwpdemo.com. We’ll click Add the Domain. WP Engine will also do a status check for this. Depending on how long ago you registered your domain, you may see a question mark here, but that’s okay. Much like our original domain, WP Engine will keep checking until we see that green check mark. The last thing that we’re going to do here is add a redirect from www.wwpdemo.com to wwpdemo.com. This will ensure that we’re not managing two completely separate domains, that they’re both pointing to the same site, and that, later, when we add our SSL Certificate, we don’t run into any security or authentication issues. So to do that, we’re going to click Add Redirect and we’re going to make sure our domain name is correct. It is — we’ve got the WWW — and we’re going to redirect it to our primary domain, wwpdemo.com. We’ll click Save Changes and now our domains are properly configured. You probably guessed from the purchase confirmation screen that WordPress has already been installed for us. We don’t have to take any steps to go ahead and install WordPress. We do, however, need to reset the administrator password. We can access the WordPress Admin by clicking on WordPress Admin on the left-hand side. We’ll then click Lost Your Password and put in the Username or Email Address. The username was provided to us on the confirmation screen and via email. The email address is the same one we used to sign up with. Once we do that, we can click the link that’s sent to us via email to reset our password. And once our password is reset, we can go ahead and Log In. You’ll notice that this looks like a pretty run-of-the-mill WordPress Dashboard, except for the WP Engine entry on the left-hand side. If we click that, we’ll see some information about our WP Engine install. We’ll give some information about DNS best practices, and then we have some important controls here. First, we’ve got Dynamic Page and Database Cache Control. WP Engine aggressively caches everything. Which means that if you are actively developing something or there’s a change that you believe should have happened, you can purge all of the caches here in order to double check that. This is going to be most useful if you add a new plugin that should add functionality or if you are developing on a staging site and move to the production site, but don’t see the changes. Clicking Purge All Caches will purge everything: the page cache, the CDN cache, and the object cache. The other button that you have here is Reset File Permissions. If you’re using SFTP to upload files to your WP Engine server, you’re going to need to click this in order to make sure that everything is working on the WordPress Admin. If you have a domain configured for the CDN, you can also control that here. Under the Staging Settings, you can Copy Your Live Site to Staging and you’ll be able to do vice-versa on your staging site. A staging site is a great place to test changes without affecting your live site. So, if you’re adding major pieces of functionality, you’re definitely going to want to create that staging. It’s a great feature of WP Engine and other manage WordPress hosting platforms. There are also links back to the User Portal and the support system. One more thing we’ll do before we go, is enable SSL on our account. WP Engine offers free SSL Certificates with all of their hosting accounts. So, from the Overview page, on the left-hand side, if we click SSL, we can go ahead and Add a Certificate. The free certificate is through Let’s Encrypt, so we’ll click Get Free Certificates and we will add it for wwpdemo.com We’ll accept the terms and conditions, and Request SSL. Our SSL certificate is then going to be set up. We can return to the portal and we will get an email when it’s ready. 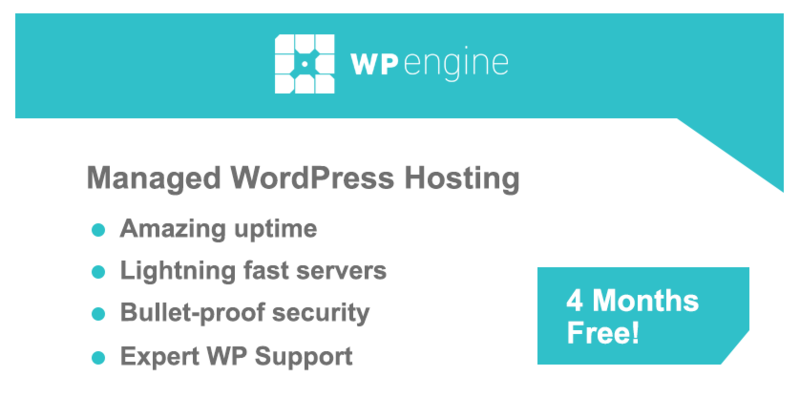 WP Engine offers a lot of great features that you don’t see on regular shared hosting platforms. As a managed WordPress host, they have really optimized their service to give you the best WordPress experience. While WP Engine is more expensive than some hosting platforms and most shared hosting platforms, you really get your money’s worth because you’re saving a lot of time by not having to configure other services separately. Thanks so much for watching this video. If you liked it, be sure to click the Thumbs Up, and subscribe to the Winning WP YouTube channel for more great videos.